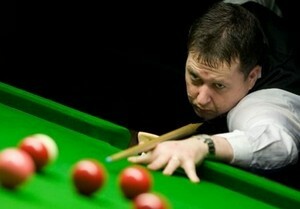 Mike Dunn hit first first maximum 147 in his first round match against Kurt Maflin which he won 5-0. This is Dunn's first maximum in his professional career. Congratulations! Mike Dunn knocked 147 today. WELL DONE! The world number 40 from Redcar has suffered intense pain from the effects of kidney stones during the summer this year, spending most of his time in hospitals before returning to resume his career in October. The 40-year-old said "I'm trying to be optimistic because I have been living in fear of another episode and ending up back in hospital. Health-wise, the last two months have been the worst of my life." in September. Dunn suffered an heart-breaking whitewash by Xiao Guodong 0-6 on the UK Championship qualifiers early this month before turning to play the PTC9 in Antwerp, Belgian and reached the last 16 of the tournament. The player who qualified for the Crucible in 2002 seems to find his way to recover. 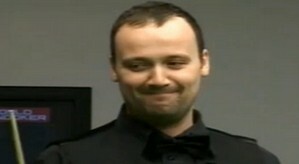 The Shoot-out semi-finalist archieved his first 147 in the fourth frame against Kurt Maflin today. 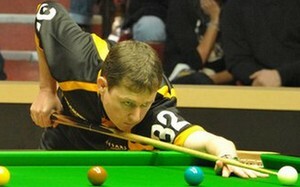 Dunn is best known as beating Ronnie O'Sullivan in the quarter-finals Shoot-out to reach the semi-finals. The 147 he has made today is the second maximum in the season, right after 147 by O'Sullivan on PTC4. Dunn will be also rewarded with 3500 pounds under the new rolling 147 prize system for his effort. He will face Adam Wicheard in the next round. Jack Lisowski fell to Sam Craigie in the first round by 1-5, Craigie will play David Grace who beaten Mark Joyce in the decider. Jimmy White was through by defeating Matthew Couch 5-3, so did Steve Davis with the same scoreline. Robert Milkins did a great job for whitewashing Tian Pengfei while another Chinese player came back to beat Barry Pinches 5-4 from 2-4 down in a four and a half hour match. Jamie Jones knocked out Andrew Norman thanks to his break of 95 when Jamie Burnett outplayed Thai Dechewat Poomjaeng with two century breaks, 112 and 108.